One of the things I like to do whenever and wherever I travel is photograph my feet on the ground… in the air; wherever I see them. Partly because traveling and life feels so dream like. When I can look at a photograph, it helps me remember the dream of being wherever I seemingly was. For when I am not present in that place what is left? But a memory of being in a place. 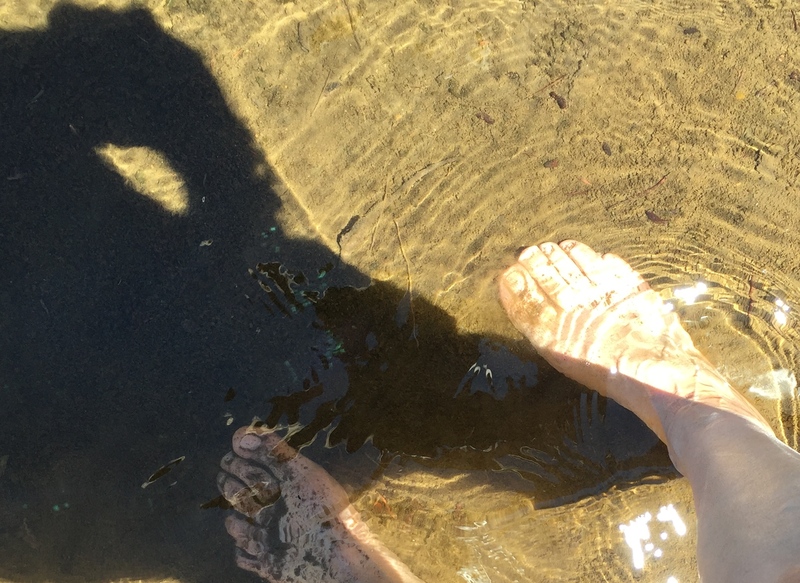 And besides… who else’s feet could those be? 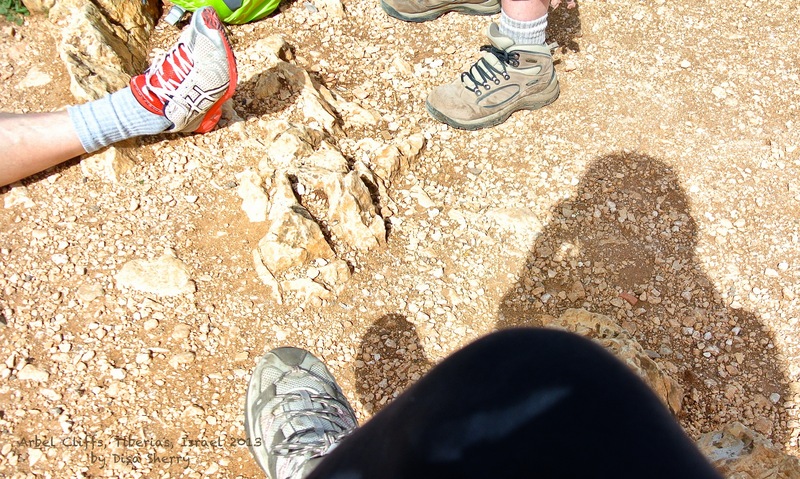 Beneath My Feet in Israel up high on the Cliffs at Arbel after hiking from Nazareth on the way to Capernaum in 4 days. Was I really in Israel in 2013? The feet prove it. Did I really hike from Nazareth to Capernaum… Yes, almost there. Here we are high above the sea of Galilee on the Cliffs of Arbel. Funny… where my feet show up.. usually so does my shadow. Ahhh… the world beneath my feet. Iceland. YES I was there, and I see the mud on my shoes from Costa Rica! 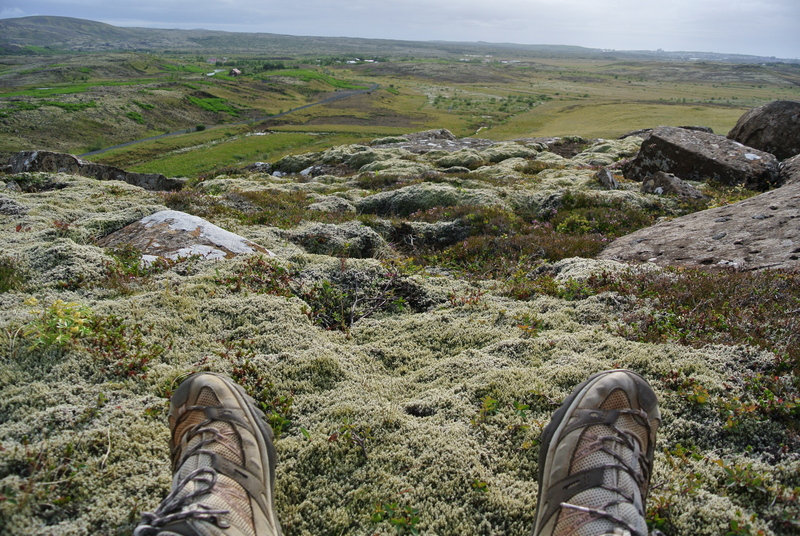 Lying atop the soft moss. Foraging for the wild berries. When I see the feet, I KNOW I was there. 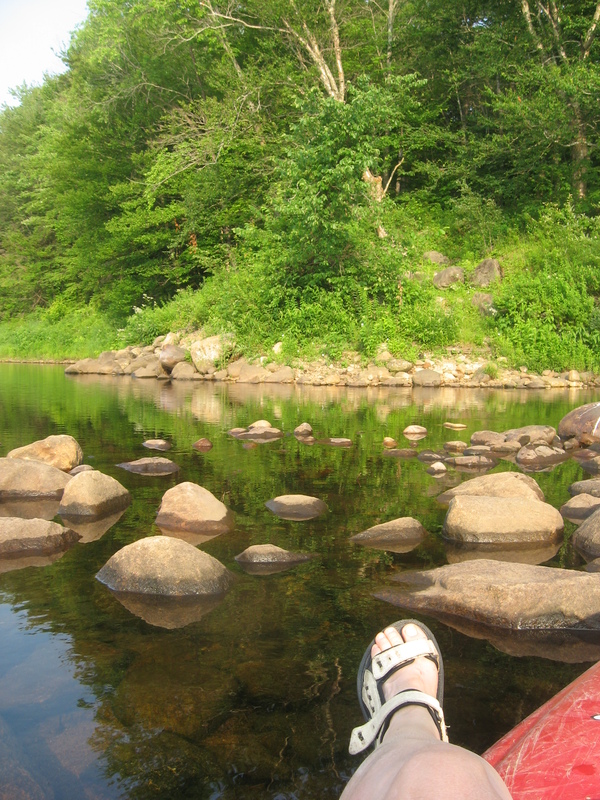 Beneath my feet in the Adirondack Mountains of New York in 2008; kayaking down the lazy stream. And further back in the time machine is the “footage” of a moments frozen light particles captured forever in a photo. Why… I can see them right now as I make this post… 7 years later; with the world still beneath my feet.